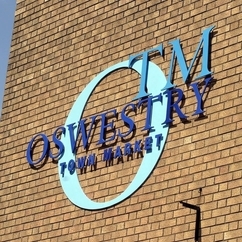 The Outdoor Regular market is held every Wednesday and Saturday on the Bailey Head from 9am until 3pm. Expect to find fresh fruit and vegetables, cheese, tools, ladies fashion, music, antiques.. 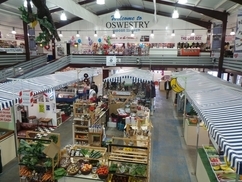 The Indoor Market is held every Wednesday, Friday and Saturday where you will find three cafes and over 30 businesses selling a wide range of items including fresh bread, butchers, fish counter..
Market Drayton Antique and Collectors Fair - A friendly and welcoming Antique and Collectables Fair. 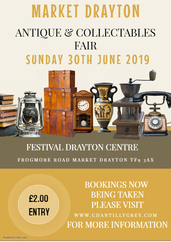 Over 40 stands, with a diverse collection of traders, Antiques, Collectables, Vintage. Fully.. Craft and Gift Fair Moreton Park Garden Centre Oswestry - New venue for 2019 another Wyevale Garden Centre - so will be a busy venue. Unloading - Thursday from 3.30pm to 5.30pm. Friday from..
Worlds longest running independent Flower Show started in 1875. 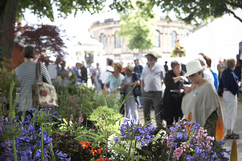 As well as the vast range of horticultural and floral displays, there is a large trade stand area and dedicated craft marquee..
Shrewsbury Flower Show. 9/8/2019 to 10/8/2019 Shropshire Horticultural Society, Quarry Lodge, Shrewsbury, SY1 1RN This will be our tenth year at the worlds longest running horticultural show..
Swarovski Crystal Cross on Silver Silver..